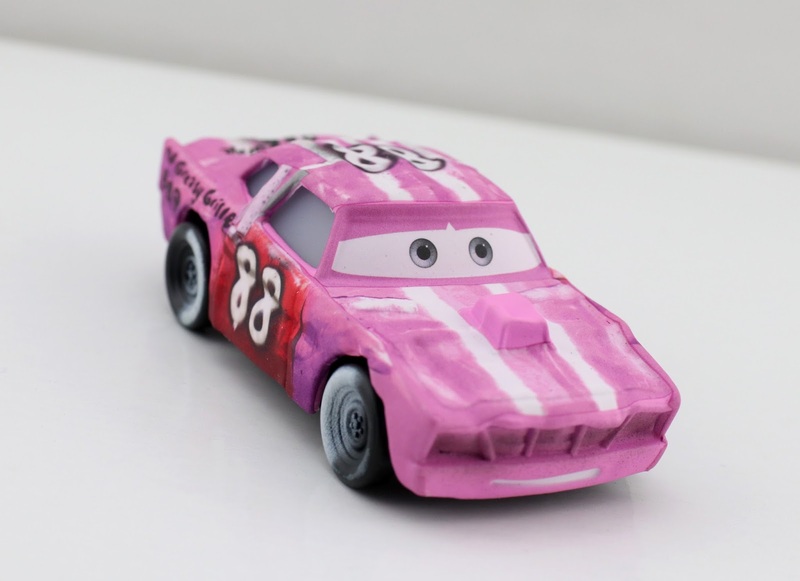 Hello and welcome Disney·Pixar Cars fans to another Mattel Cars 3 1:55 scale diecast review! Tonight I'm taking a quick look at one of last year's "movie moments" 2-packs featuring two Thunder Hollow Crazy 8 contenders— Tailgate and Cigalert! 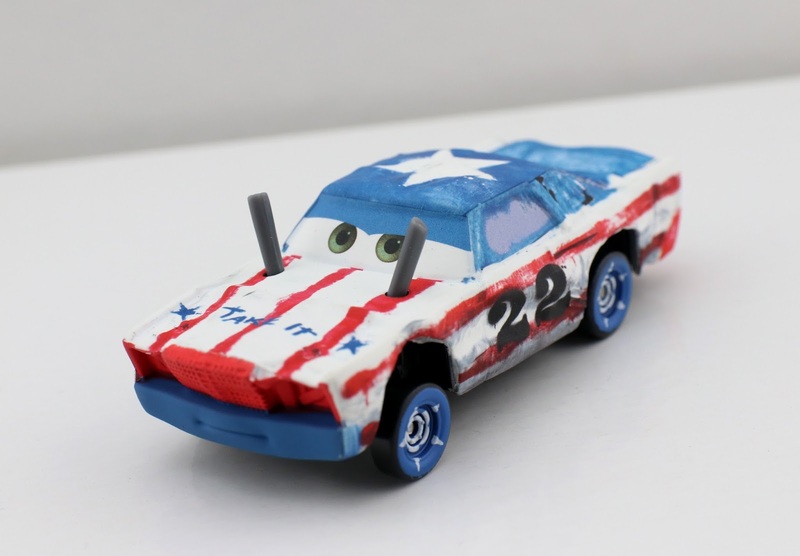 Obviously, as mentioned and shown in the screen shot above, these two can be seen during the film's iconic demolition derby race. Tailgate gets a pretty good close up during the scene, but Cigalert is only ever in the distant background. In fact, she was actually very hard for me to spot—she's literally just on screen for a couple split seconds. And yes, "she" is right. These are actually both female car characters (who knew?). Though I was never able to find this one at any of my local stores (my area just never got this case I guess...typical), I was able to find this at the Pixar Studio Store when I visited there last fall! And I'm glad I did since this 2-pack proved to be very hard to find for most collectors. 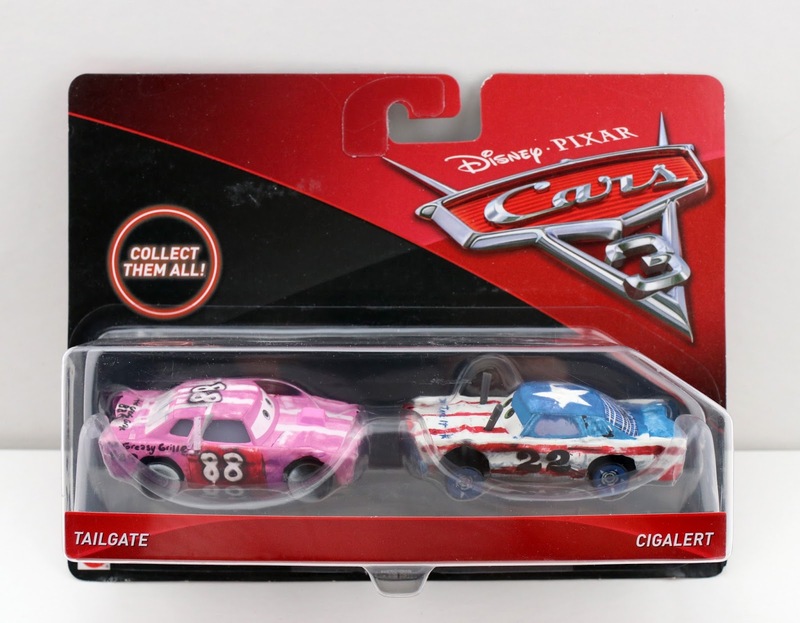 Cigalert was also released last year on a single card, while Tailgate has a single release hitting stores right now as part of the 2018 mainline. That should be helpful to those who missed this pack! Here's a look at both characters out of the package. They look great! 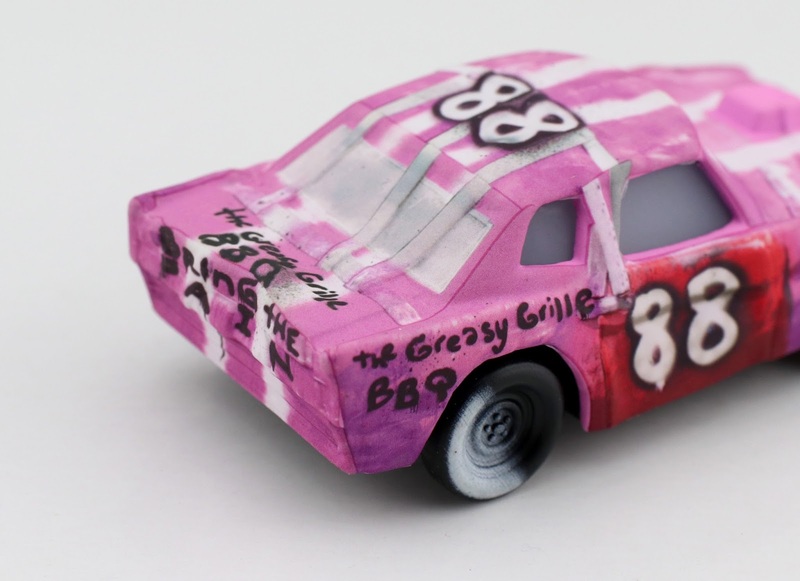 They have all the fantastic detail and vibrant colors I've come to expect from Mattel's demolition derby cars. You know they've been my favorite to collect! "Take it!" is written on Cigalert's hood. "Bring the Pain" and "The Greasy Grille BBQ" (which seems to be her sponsor) are written on the back of Tailgate. Nice little details. I'm getting that much closer to wrapping up all my reviews of the 2017 Cars 3 diecasts! Stay tuned for more soon. In the mean time, check out the direct link to Amazon below if you're still looking to track this 2-pack down for your collection.